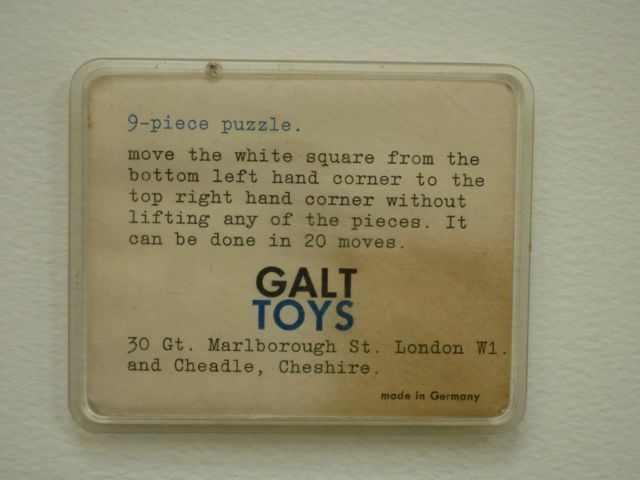 Here is my latest vintage 'Galt' toy find, it is a little game with wooden shapes - the aim is to move the white square up to the opposite corner - a little like moving furniture around our house! 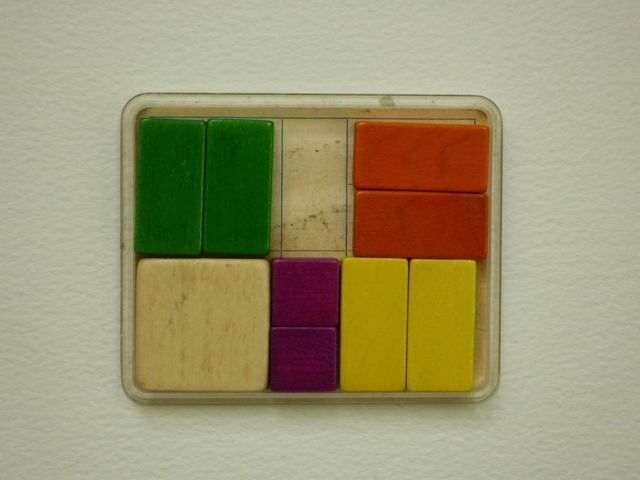 It's lovely, like a flat rubik's cube, only nicer. Thanks, simple is always good! 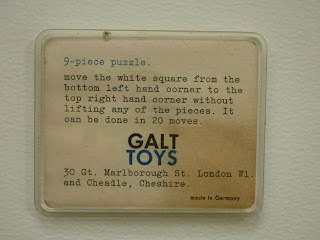 I work for Galt toys in the product development department today! I have just found this same toy in my mother's belongings. She died recently. But we can't solve it! I've looked online for a solution but can't find one. Any ideas? Ive recently found this toy and it's driving me mad, i dont suppose you ever figured it out?